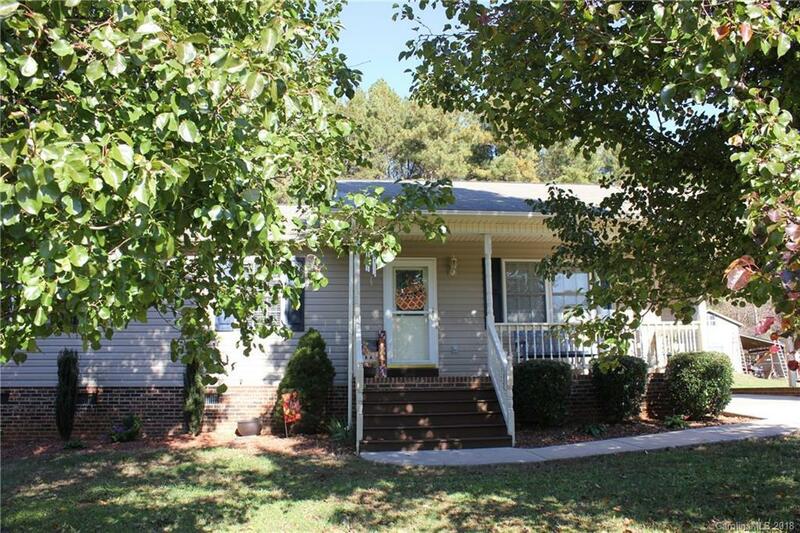 Great 3-bed 2-bath ranch on a nice clear lot away from the city but close enough to get there. As part of this great property you are also purchasing the adjoining .46 acre lot, which has the detached shop on it, bringing your total property to almost one complete acre. A gravel pad for a camper or additional parking is beside the concrete driveway. In the cool evenings enjoy the fire-pit area in the spacious backyard, and if you put out a little deer corn you might get a visit from some friendly wildlife. You will be 10 minutes into downtown Statesville, less than an hour drive to the Mountains and Boone area. Minutes from Hamptonville with The Shiloh General store, make sure to go early on a Saturday morning for great pies and baked goods which will whisk you back in time. Easy access to neighboring Hickory, Winston-Salem, Mooresville, Cornelius, Huntersville and Charlotte. You get a lot for a little when you own this one. Small storage shed not included.